Here are some lovely things in my four favorites today! 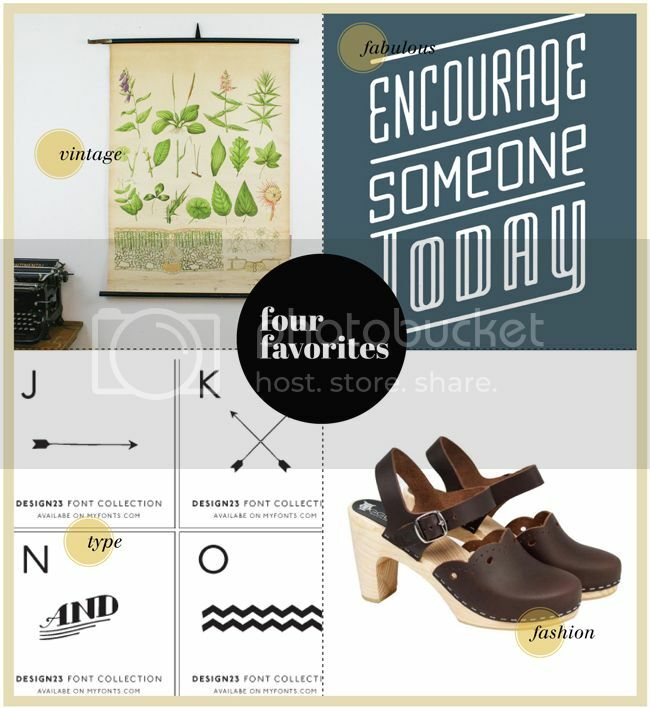 Fabulous: Encourage print from help ink, $15 for a 12x16 print. I met the guys from Help Ink a few months ago - this is a cool company. Each print is designed by a different artist and 40% goes toward helping a charity. Read more about help ink here! "Encourage someone today." I love that. So much. I'm really needing to try some clogs. They look so comfy. I love the 'fabulous' poster. I spent an embarrassing amount of time wondering why no one encouraged me in my dreams before realizing I just needed to be more encouraging to everyone else. Completely changes your perspective. Great picks! The fonts are interesing, first time I've seen this.